There is this new crazy thing that seems to be spreading around the world and to every site on the internet. If you can order products from the site there is a chance you can sign up for a subscription box as well. Maybe this is not something new, but I am just now seeing these things everywhere. Maybe subscription boxes have been around for a while but they are just now gaining popularity. I don’t know. All I know is that the world has grown mad with these things. In case you don’t know, subscription boxes are monthly boxes you can order. You don’t know what is going to be in the box, all you know is that you will get so many items each month. You pay a monthly fee ranging from 20 to 40 dollars and some are even more than that. I had talked to my mom about them once and she recalls having them around when she was younger, but they were all cosmetics. Which is where I started noticing this. I am 28 years old and just now really getting into the higher end cosmetics and paying attention to what I am really putting on my skin. I guess that makes sense, we get smarter as we get older because we want to preserve our natural beauty. Maybe that is why I am just now noticing the subscription boxes. 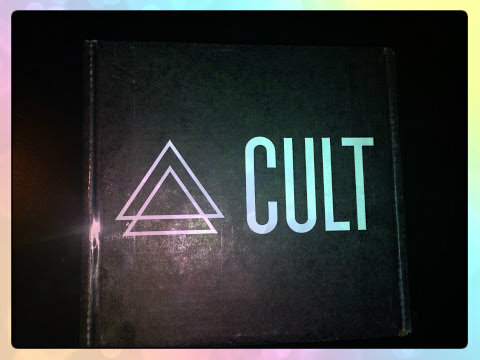 I have signed up for one subscription box with a brand called Cult. They sale nail polish. This nail polish is pretty much a dream come true. I have done a review on a few colors in the past. You can read it HERE. The most important thing about the polish is that it is Formaldehyde free, camphor free, toluene freem formaldehyde resin free, as well as cruelty free. I try to use products that are cruelty free, meaning not tested on animals. I can’t stand the idea of animals being harmed just so I can look pretty. Also, even if the makeup does not create a reaction in an animal does not mean it won’t cause a reaction when it comes into contact with human skin. This just happens to be the reason I started wearing more expensive make up. Cult subscription boxes are 20 dollars a month. It comes with three nail polishes and a nail tool. For the brand, this is a great buy and I would recommend it to anyone that buys a lot of nail polish. I have seen so many other subscription boxes that I want to try. If you look on YouTube you can find a ton of subscription box unboxings. My first run in was actually the Loot Crate box. It’s more for gamers, but I watch a lot of game play on YouTube. The other was the beautybox5. This is more for cosmetics and other beauty products, which you could probably tell by the name. I have only ever done the Cult subscription box, but I plan to do more. My next venture is the NatureBox. It’s a box full of healthy treats you can try out. Since I am on this new things with my health and fitness the box is calling my name! I am always looking for snacks that I can eat without blowing my diet out of the water. There is even a subscription box for dogs. Seeing as I just got a puppy, I am considering this one too. It would be awesome to have new toys for Pixel every month. While actually gathering the links for the boxes mentioned in this blog I came across this website. Check it out HERE! The site has a few other subscription boxes you can check into, though I found that they have a few missing. Honestly, you get better results when you Google subscription boxes. Do you subscribe to any of these boxes? What is your favorite? Do you plan on subscribing to any of them? That’s amazing!!! A box dedicated for your monthly! I love it!!! Anywho, I would LOVE chocolate to just arrive on my doorstep, especially during that time! How clever!